Craft-Bamboo Racing is determined to return to the podium this weekend at the Chang International Circuit in Thailand. After a challenging first round, the team has been working tirelessly to prepare their pair of Porsche 911 GT3 Rs and is confident that they will be fighting at the front of the grid this weekend. Richard Lyons and Frank Yu in the #88 Interush Porsche will be out to rewrite the wrongs of the first round after suffering bad luck throughout the entire weekend. Lyons has already proven that he has the pace to lead the competition and the Irish GT ace will be itching to charge to the front with a strong qualifying session on Saturday. Both drivers have a good knowledge of the 4.5km circuit after competing in Buriram last year. Combined with their growing seat time in the new Porsche 911 GT3 R, this makes them one of the strongest pairings for races three and four of the season. Darryl O’Young and Naiyanobh Bhirombhakdi started the season with a pair of top ten finishes and are concentrating on improving their positions this weekend. The Buriram circuit is where O’Young clinched his 2015 GT Asia drivers’ championship title and he will be hoping to pull off another strong result here this season. 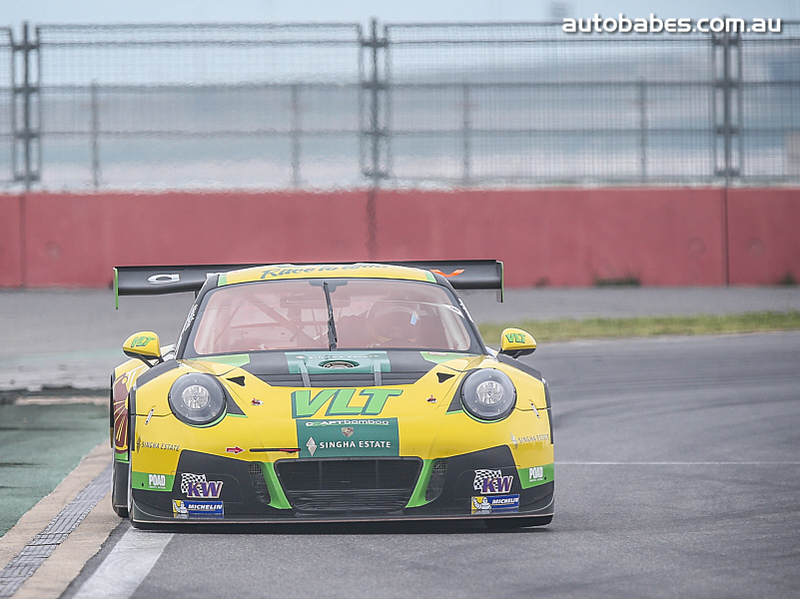 O’Young and Bhirombhakdi arrived in Thailand early to get some extra track time in at the Bira International Circuit, ensuring that the #91 VLT Porsche will be in fighting form when they hit track for the first qualifying session on Saturday. Both drivers have intimate knowledge of the Buriram circuit, which should give them an upper hand on some of the competition and help them edge ahead in qualifying. With Bhirombhakdi’s first GT race under his belt, the #91 pair is prepared to begin their rise up the leaderboard. They will be supported by a legion of local fans that will be out in force to see their home hero Bhirombhakdi battle it out for GT Asia glory. To watch the Buriram round of the GT Asia Series, you can stream both races live at https://www.youtube.com/user/afosTV/videos or catch the highlights and race two on Now TV Channel 672 (Fox sports 3) in Asia on Sunday.